Why are we here … again? We chose if and when to go into a new life. We chose this life, our bodies, the people in our lives, and what to experience. We chose our lessons for this class we call LIFE. Through free will, we are completely responsible for our life. Take a breath. It’s okay. You are not alone. We are all in this together and we have help. Our angels, spirit guides, and passed over loved ones are always here for us – we have just forgotten that we can ask for their help. I did not always believe this. As a young adult, I lost my faith in God and religion altogether. Only through working with my past lives did I discover a much deeper sense of faith in God, angels, and spirit guides. 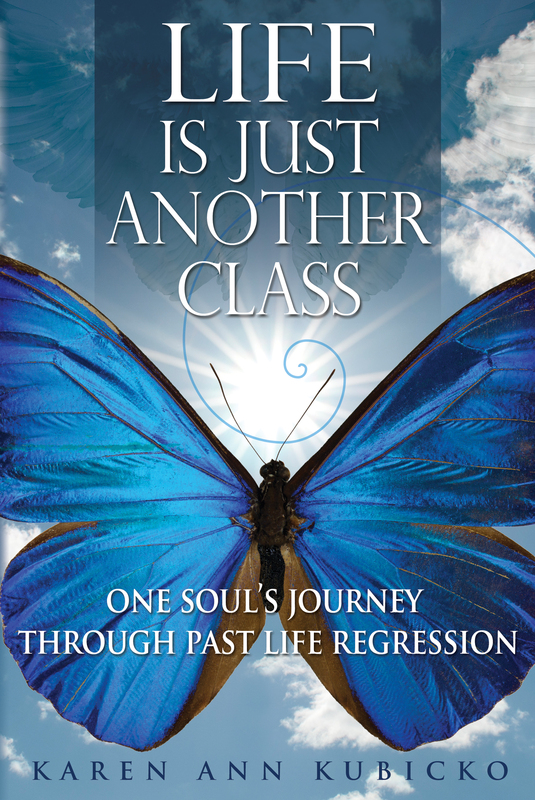 Do not be surprised if a few of my lifetime tragedies strike a chord within your being as you remember, in some deep way, how you had a similar experience in one of your own past lives. I chose to remember the lifetimes that would heal me from asthma. In doing so, I remembered some very harsh past lives. Aside from healing physically from asthma, I healed many old emotional wounds and awoke spiritually. Heaven is so close to you after you remember a past life death that nearly anyone can experience what it feels like to die and see The Light. Remember, your real life is in Heaven: Earth is just a classroom. Your LIFE is just another class. This entry was posted in Metaphysical, Past Life, Regression and tagged angel, death, fear, Heaven, hypnosis, Inspiration, life, live, Love, metaphysical, near death experience, new age, past life, Philosophy, regression, reincarnation, spirit guide, Spirituality, the light, Writing. Bookmark the permalink. Congratulations, Karen! Beautiful cover! Wish you all the best on its success! It is a lovely choice.